Giving Back? Let us know about your events and causes this holiday season! Now that the mid-term elections are over, the hoopla and fun around Halloween are a distant memory and the temperature finally starts to change, many in the community look toward the upcoming holidays and the season of giving. 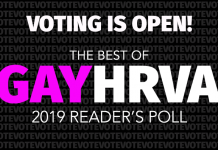 For many in the LGBTQ community, this often means giving back via volunteering and/or attending glittering holiday parties and fundraisers for which we are famously generous. For others, the act of giving is an intensely personal act, borne of a unique perspective only someone who has lived without or received something from someone during a challenging point in their life can understand how a simple act of giving can shape another person’s life. Downtown Norfolk resident Charles Kirtland has this unique perspective. Twelve years ago, Kirtland was homeless, living in shelters and under bridges in his native Austin, TX prior to getting into rehab and changing his life. His experience living on the street shaped who he is today and this year marks the seventh year he makes and distributes care packages to the homeless. According to Kirtland, the first year he distributed six care packages and this year he hopes to distribute six dozen in Norfolk, Portsmouth and Virginia Beach. Knowing what it is like to be alone during the holidays, Kirtland started hosting large dinners, but his mind returned to what it felt like to be on the street. Last week, Kirtland hosted a pumpkin carving and dinner, asking attendees to bring a donated coat (or other clothing item) or make a cash donation. So far, he has gathered over 40 coats and commitments from others to donate blankets and other items, in addition to $700 he received from The Cavaliers club and MJ’s Tavern to purchase toiletries, socks and undergarments to complete the care packages. Kirtland’s care packages include a toothbrush, toothpaste, soap, shampoo, deodorant, socks, underwear, jackets and a blanket. He distributes on foot in the street and is expanding his reach this year to include the High Street area of Portsmouth and the Virginia Beach oceanfront. Any items leftover are donated to the Union Mission or For Kids. Undergarments, especially socks are needed. “So often, most homeless only have 1 pair of shoes or boots and they walk a lot in them. They’re worn out and not really insulated and padded as well as typical shoes. Extra socks add comfort and protection and keep feet warm in the winter,” said Kirtland. If you are interested in making an in-kind or cash donation to Kirtland’s effort, you may contact him at charlesk101@yahoo.com. TAP- VA is a program that helps transgender and gender nonconforming people (including veterans) out of homelessness and other unfortunate situations. TAP-VA is hosting a clothing drive to help clients stay warm this winter and for clothing for interviewing. New/gently used clothing and cash donations are accepted. For more information, click HERE. 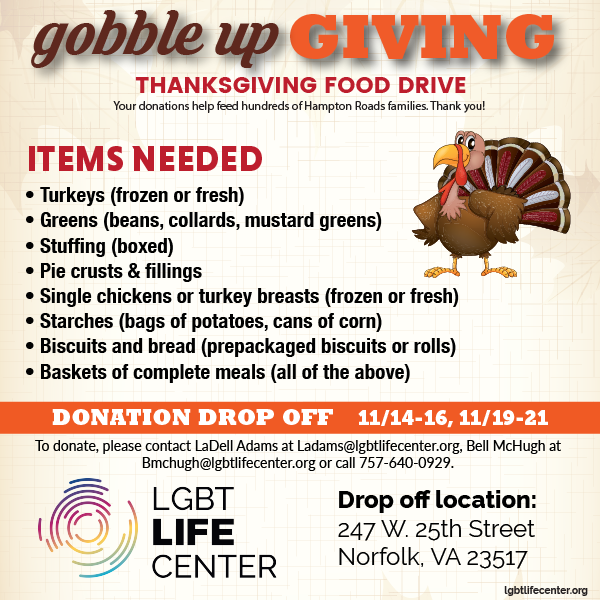 Each year, the LGBT Life Center hosts a Thanksgiving food drive and this year, they hope to provide 300 area families in need with a full Thanksgiving Dinner. Drop by the Life Center to make a canned good or food donation (see needed items in the graphic below), or call them at 757/640-0929 and they will pick up us and we can come to you! 757-640-0929. Monetary donations in support of the drive are also welcomed and can be made at HERE. Kick off your holiday shopping and give back to the LGBT community. Bring a frozen turkey for the LGBT Life Center’s Thanksgiving food drive and receive a coupon for 25% off your purchase (art excluded) in Serendip this evening from 5-7 p.m.
We know this is not an exhaustive list of charitable activities happening in our community between now and the end of the year. 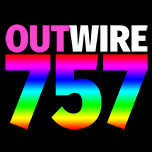 If you want to promote your event or cause, please let us know at editor@outwire757.com.